Chairman Houghton, Chairman Shaw, Ranking Member Pomeroy, Ranking Member Matsui, and distinguished Members of the subcommittees, I appreciate the opportunity to appear before you today to discuss issues related to individuals who file tax returns using an Individual Taxpayer Identification Number (ITIN), and its impact on tax administration. The vast majority of individual tax returns are filed using a Social Security Number (SSN) as identification. However, there are instances where alien individuals have a need to file a U.S. tax return. For example, a professional golfer who is a citizen of another country but tours in the U.S. would need to report taxes on tournament winnings. To enable these individuals to file, Treasury Regulations were issued in 1996 to provide them with ITINs. An ITIN is intended for tax purposes only and creates no inference regarding an alien individual’s right to live in the U.S. or be legally employed here. The number of ITINs issued in the last few years has increased dramatically, climbing from 1.1 million in 2001 to 1.5 million in 2002--a one-year increase of about 36 percent. Normally, ITINs would be used to file a Form 1040NR—U.S. Nonresident Alien Income Tax Return. However, many ITINs are used to file Forms 1040, which creates challenges for tax administration. Our analysis of Forms 1040 filed in Tax Year 2001 with ITINs found that approximately 530,000 Forms 1040 were filed with ITINs as the primary number by aliens who resided in the U.S., but who were not authorized to work and, in general, to reside in the U.S. These returns reported adjusted gross income of $10.7 billion. After tax deductions and credits, these tax returns reported a total liability of $184 million. Over half of the tax returns reported no tax liability, and $522 million in tax refunds were claimed on these returns. Tax returns filed with ITINs present two significant challenges for IRS’ administration of the tax system. First, resident aliens filing tax returns with ITINs do so because they typically are not eligible for a valid SSN for employment purposes. As a result, the tax returns filed by these individuals and the corresponding Forms W-2 often have two different identification numbers. We estimate that 309,000 Tax Year 2000 Forms 1040 filed with ITINs included W-2s with SSNs that did not belong to the individuals who filed the tax returns. Instead, many of the SSNs were assigned to other individuals. Second, individuals filing returns with ITINs often fail to fully report income from wages and nonemployee compensation. For Tax Year 2000, we estimate that one in four individuals filing with an ITIN failed to report on their tax returns wages and nonemployee compensation totaling $324 million. However, the mismatches between the ITINs and the SSNs limit the IRS’ ability to identify this underreporting. 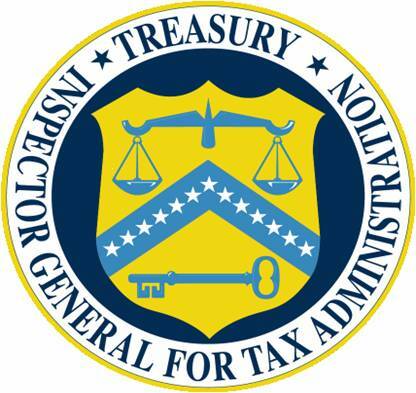 Beyond the tax administration challenges, other Government agencies are affected by ITIN usage because the tax law generally prohibits the disclosure of tax information to other Federal Government agencies. For example, immigration law contemplates an unrestricted exchange of information regarding immigration status between Immigration and Customs Enforcement and other Government entities and officials. However, there is no current exception within the Internal Revenue Code that would permit this. In addition, identity theft is the fastest growing financial crime in the country. The Social Security Administration has expressed ongoing concerns about the significant problems caused by the misuse and sometimes fraudulent use of the SSN. As I indicated earlier, tax returns with ITINs have often included W-2s with SSNs assigned to other individuals. An applicant is now required to show a federal tax purpose for obtaining an ITIN, and typically must attach a completed tax return to the ITIN application. The number of acceptable documents to establish proof of identity to obtain an ITIN has been reduced from 40 to 13. The appearance of the ITIN has been changed from a card to a letter. This ITIN initiative is a laudable effort and may reduce the number of ITINs issued for non-tax purposes; however, it does not address the issues resulting from individuals with ITINs and their employers using erroneous or improper SSNs for wage reporting. It is also unlikely that it will deter an individual with criminal intent, and it might be an impediment to those who seek to voluntarily comply with the tax laws. We will monitor the impact these initiatives have on the integrity of the ITIN program. I would like to close by responding to press reports suggesting that TIGTA has compiled a list of people whom we suspect are illegal aliens and that we intended to prosecute them. I can assure you that this is completely false. We do not have any such list, initiative, or program designed to identify persons who are not authorized to work in the United States. I would be happy to answer any question you may have at this time.